Stories are powerful. Especially when they are true. Sometimes amazing stories take a generation to unfold. I have an interesting one to share. A couple of years ago, I shared the story of Neighborhood Forest – my other passion, which budded in college and rekindled in 2009 as a result of a “death-bed” experience. Since the writing of that blog, there have been some unexpected twists and turns – blossoming of fruit that is too sweet not to share. 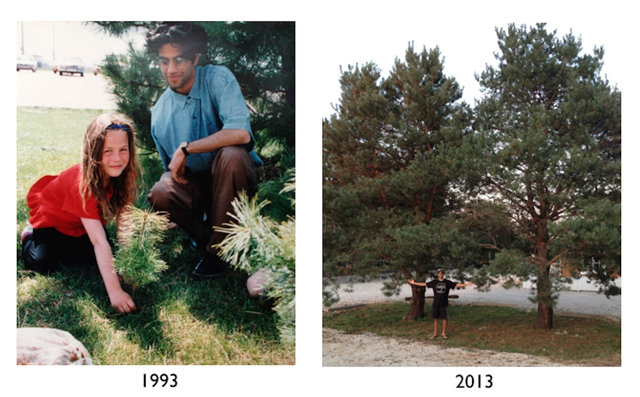 As college students in Fairfield, Iowa, we launched our first free tree giveaway in 1993, which coincided with the launch of something else: EcoJam. Our efforts were kind of puttering along, until early 1993, when a friend, Belinda Hoole, approached me and asked if she could put on a fashion show to help raise money for our cause. 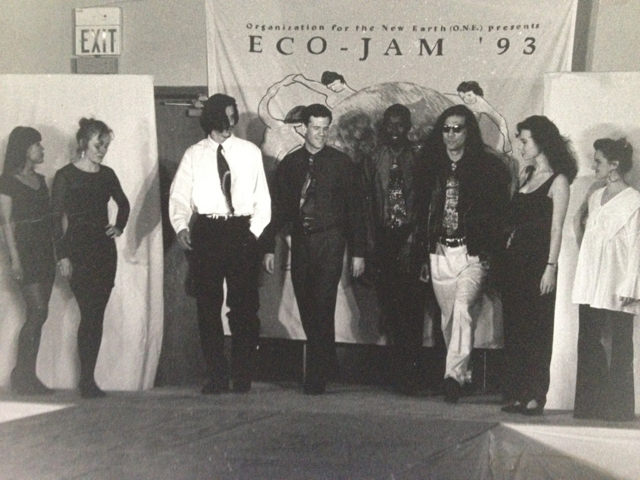 Like that, EcoJam was born – a fashion show / dance party that would go on to raise money to purchase thousands of tree seedlings for schoolchildren across southeast Iowa. EcoJam became a staple of student activities and happenings around campus. Even after Belinda and I graduated, other students took the torch and ran with it. This May, EcoJam will celebrate its 22nd year! If you would have told us back then that our little event / fundraiser would still be going strong nearly a generation later (just like the trees we planted), I would not have believed you. About a year ago, I got a call out of the blue. Jami Johnson from Fairfield wanted to know more about the history of EcoJam. She was taking the project over from its predecessors and really had a desire to take EcoJam to the next level. She wanted to understand its roots (no pun intended). I was delighted to share. I told her our story and how the EcoJam served as a fundraiser for free trees. It so happens that Jami was in the 4th grade when EcoJam first started. She was a native of Fairfield and remembers receiving a free tree during Earth Day. 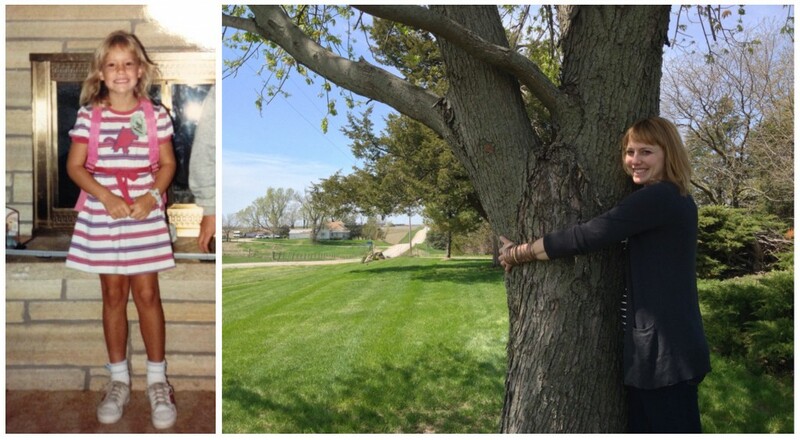 This is Jami Johnson then (4th Grade) and now (with her beautiful and growing tree). Yes, the new organizer and mind behind EcoJam 2014, is a woman who had received a free tree via EcoJam 1993. We were both giddy. We had come full circle. It was one of those magical moments you cannot fully express in words. I still get goose bumps thinking about it. Jami invited Belinda and I to open up EcoJam 2014 and reintroduce the free tree program (Neighborhood Forest) to Fairfield. 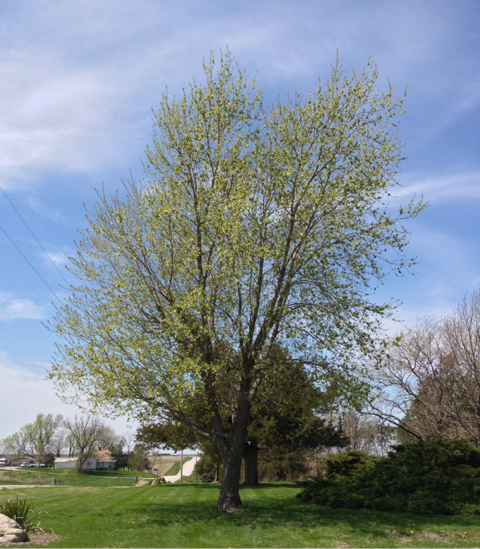 Almost a year has passed and we have secured sponsorships to provide free trees to every school in Fairfield, plus several others around southeast Iowa. Our tree project is back. It has returned home. EcoJam is alive and kicking and now led by one of our first free tree recipients. I love this time of year. Spring. Renewal. Free trees. We are gearing up to reach over 10,000 families and giveaway over 5,000 free trees to schools across Minnesota and Iowa – more than we have done in the last 5 years combined. Soon, we hope to be in every state in the nation. 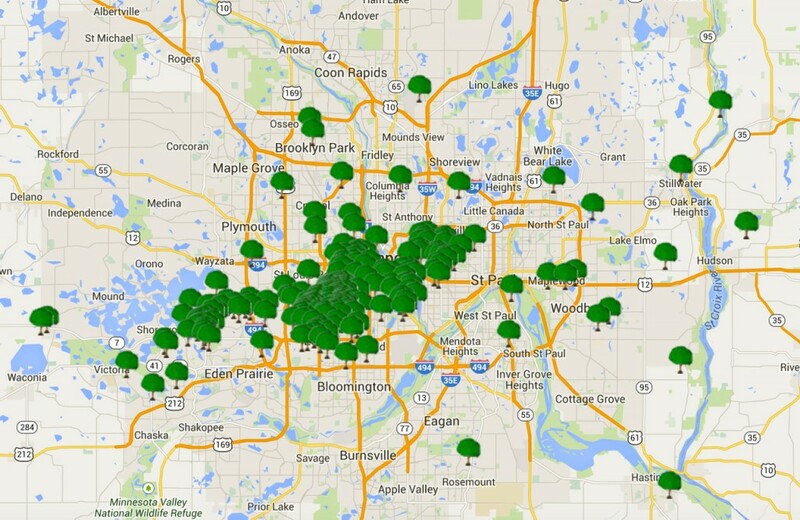 Since 2013, we have been collecting information on where our growing army of volunteers are planting their trees. Here’s my favorite Google Map. We will be watching as these trees and children grow up. What kind of magical stories await us in the generations ahead? Thank you, Vikas, for sharing this wonderful story. As an advocate for environmental social justice and combating the many harmful impacts of climate change on our world, I couldn’t be more moved by what you are doing. I wish you lots of continued success as you continue to ramp up Neighborhood Forest. Thank you so much, Steve! Really appreciate your goodwill and support. Vikas – I can take on Seattle and I have great inroads into schools in both Washington and Southern California. 😉 Use me my friend. That would be lovely. I will be in touch.